Foxtail season is officially here! With cases of foxtails in ears, paws and throats, it’s clear to see that these pesky plants can gain a foothold just about anywhere. A serious hazard, these bristly, seed-bearing grasses commonly found in the Western United States have sharp points and microscopic barbs that allow them to easily move forward in the direction of the point, but not so easily the other way, so they “work in” but don’t “work out”. 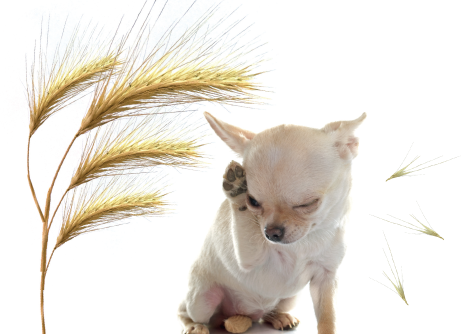 Foxtails can become embedded in fur, especially in paws and ears, and in noses, mouths, eyes and can even be inhaled. They seem to be able to find their way into just about every orifice and start burrowing in. Foxtails tunnel through the body and, once having initially penetrated flesh, can work their way into vital organs like lungs and the brain. While difficult to find, foxtails can be even more difficult to remove. They don’t break down inside the body, and bacterial enzymes contained within foxtails can cause infection and tissue damage. Once a foxtail has lodged itself into your pet, you’ll normally be able to observe immediate signs of discomfort. 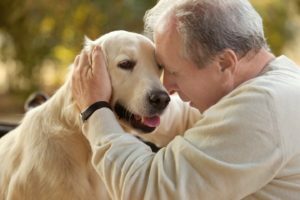 Head shaking, pawing at ears, coughing or gagging, excessive sneezing and swelling or redness are all signs of possible foxtail presence. Foxtails in pet ears are particularly elusive, as they often don’t create immediate discomfort. That’s why you should always examine ears after walks in areas like fields and brush. 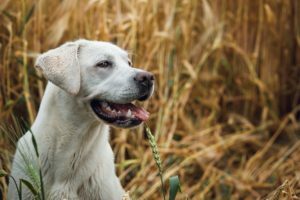 Because of the structure of foxtails, and the damage that they can cause, swift removal is a procedure best left to a veterinarian, as sedation is often used to safely remove them. Sedation greatly reduces the risk of puncturing an eardrum or causing damage to the mouth or nasal passage during removal, and allows for effective treatment of a possible foxtail-induced abscess. Make it a practice to brush and check fur, face and ears for foxtails, especially after hiking. Don’t’ forget to check mouth and gums, and be especially vigilant around paw pads between toes. It’s also a good idea to keep dog fur trimmed during foxtail season, to help alleviate any unwanted travelers. With early detection, most foxtails can be removed with rapid healing and immediate relief to your pet. Always pay attention to simple signs like head shaking, sneezing, scratching and coughing that could be indicative of a very insidious problem. Don’t get outfoxed by the elusive foxtail!